Naked Prosthetics creates custom-fitted hand and finger prostheses that allow an impressive range of fine motor skills to be done by the wearer, like holding and striking a match or unscrewing a tiny cap. US Paralympic Track & Field medalist Megan Absten lost her left arm in an accident when she was 14 years old. In January of this year, the 23-year-old athlete created a YouTube channel to provide tutorials that show how she does everyday things with her remaining arm. In this video, she shows how she ties her shoelaces. In others, she shares how she gets dressed, how she puts on makeup and more. 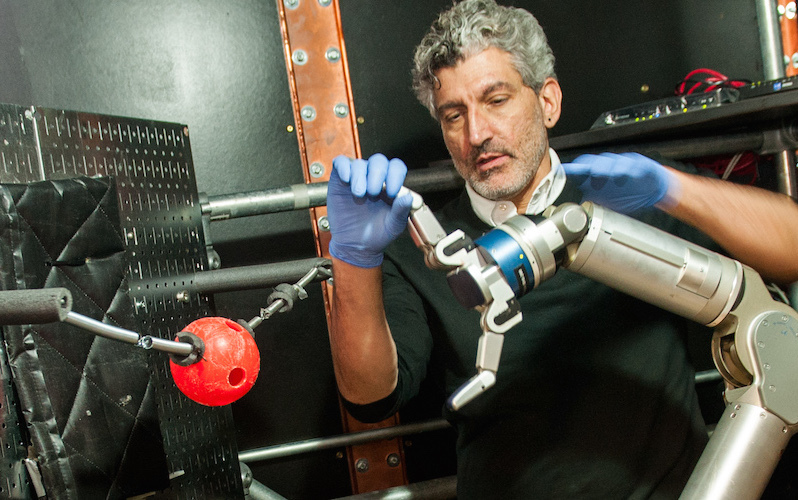 Neuroscientist Nicho Hatsopoulous and his team taught monkeys that lost limbs through accidents how to control a robotic arm. The work has profound implications on what they call the brain-machine interface. Here's the basic setup in a similar lab with non-amputee monkeys. The monkey gets juice or some other treat for successfully completing the tasks. A 26-year-old man in Austria who lost the use of his right hand in a motorcycle accident ten years ago has decided to undergo "elective amputation," after which he will be fitted with a bionic hand controlled by nerve signals from his own arm. German prosthetics company Otto Bock makes the bionic hands; BBC News reports the prosthetics can "pinch and grasp in response to signals from the brain that are picked up by two sensors placed over the skin above nerves in the forearm." This will be the second such surgery performed by Professor Oskar Aszmann, of Vienna. A 24-year-old Austrian man named Patrick was the first patient in the world to choose to have his hand amputated, again by Professor Aszmann, and a bionic replacement fitted. He lost the use of his left hand after being electrocuted at work. 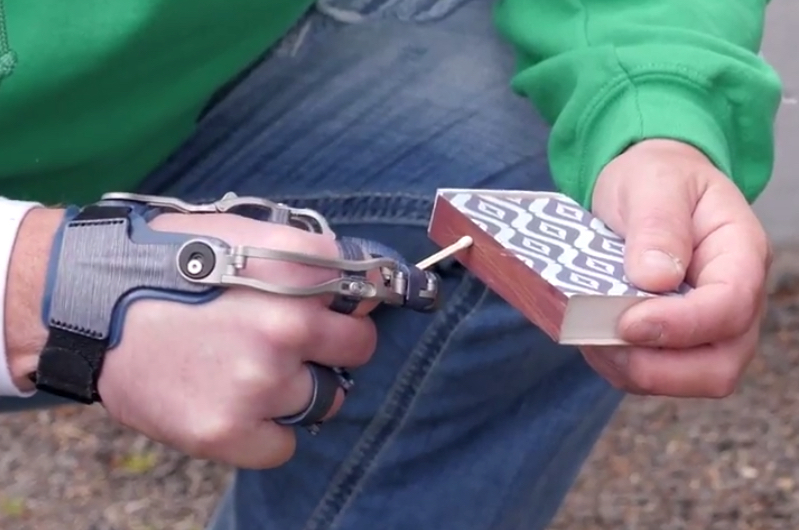 More here, and there's video of the bionic hand in use by Patrick, here.